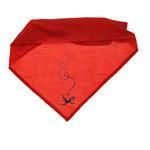 Protect your pup from the biting, gnawing annoyance of insects with this innovative bug-repelling bandana! The Insect Shield Dog Bandana by Doggles is an innovative dog bandana using state-of-the-art insect repelling technology. 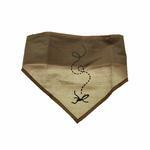 This bandana for dogs uses permethrin, an insect repellent that is effective and odorless. The permethrin is long-lasting, even surviving up to 70 washes! 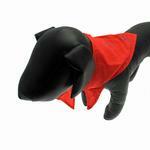 This dog bandana repels mosquitoes, ticks, ants, flies, chiggers, and midges. 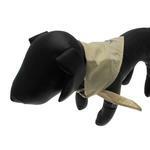 One size fits all dogs. Fold in half to fit smaller dogs. Posted On 11/08/13 by Manon L from Saint-Hubert, Yes, Manon L recommends this product! I bought the bandana more for the look but it is surprisingly effective at repelling insect around the face. My black dog always had bugs around her eyes when we walked in the woods. With the bandana, there are a lot less bugs bothering her. I love it !